I went to my local Avenue and saw this. 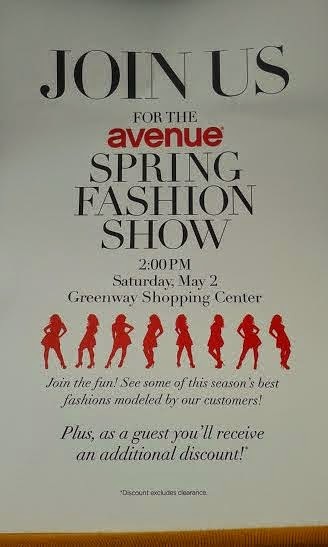 Avenue Spring Fashion Show, so excited. I love plus fashion events. I wished we have more in my area. What make this event even more special is the customers will be modeling. How awesome!! Seeing the fashions on everyday shaped women is so cool. Come on out; you may see yours truly on the runway. New Job What to Wear? ?